One of the most versatile and popular undersuits on the market today, Arctic combines performance materials with intelligent design. Dual layer Construction Using a combination of fast wicking, high insulation fabrics, the Arctic creates a micro climate around the diver, keeping the body dry and warm. A high density inner fleece provides superior insulation, with maximum comfort and wicking, whilst the outer layer, which has a water repellant finish, ensures a snug fit. Low Bulk Insulation The Arctic requires less loft to perform due to more effective management of air which is held in the fibres of the suit. Instead of maximising the thickness of the layer of air near the skin, the Arctic minimises the movement of air within, reducing the rate of cooling, without any risk of trapping the air and preventing its release from the dump valve. 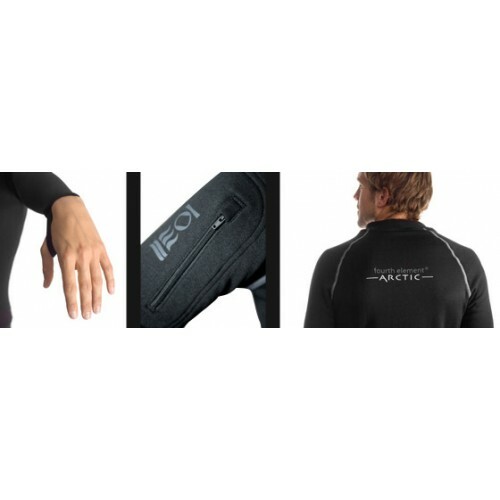 Performance When Wet The Arctic retains a significant degree of its thermal performance when wet, such that wearers have found it possible to complete dives in relative comfort after even the most fundamental drysuit failures. In some cases, divers have not noticed a leak in a neck or wrist seal until after the dive, such is the performance of the fourth element Arctic. Other features of the Arctic include thumb loops for easy donning and a pocket on the upper right arm for small valuables. 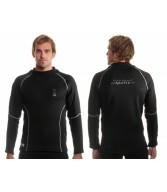 Furthermore, unlike other undersuits on the market, the Arctic undersuit is machine washable. Wash cool with half the usual amount of detergent. Spin and line dry, DO NOT tumble dry.